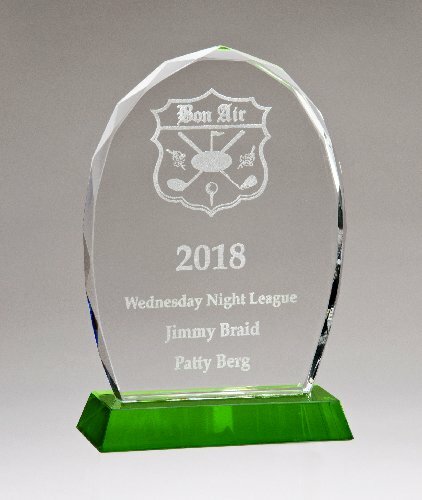 Shield-shaped glass award with blue center and pedestal on clear glass base. Your laser engraved frosted white text and/or graphic show up well against the blue background. Satin-lined gift box included. Jeweled edge optical crystal award with dark green crystal base. Your text and/or graphic laser engraved a frosted white. Satin-lined gift included.